On November, 14, 2015, MIT traveled to Springfield, MA on a chilly, windy day for their final match of the fall season. Early arrivals were treated to an intense flag football game at Van Horn Park. With the false perception that they still controlled their own playoff destiny, MIT were determined to put up as many points as possible in order to avoid a possible road playoff game. Unfortunately Springfield had other plans as they stole the opening kickoff and settled into MIT territory. MIT defended well and eventually kicked the ball out of their half. On Saturday, November 7, 2015, MIT hosted New London RFC at Briggs Field in a game with playoff implications. The last time these 2 teams faced off in October, Coach Sean told the team that the game would be decided by scoring tries. The team responded by kicking 3 penalty kicks on the way to a 9-0 shutout of New London. Apparently Coach Sean’s prediction came a game early, as the 2 teams combined to score 12 tries in a game that could not have been more different from their first match. MIT and HBS play "friendly"
On October 24, 2015, MIT hosted old rival Harvard Business School at Briggs Field. With their regular league match vs. the Framingham Exiles cancelled, MIT was set to play a different set of exiles in HBS, who were exiled from DIII a few years ago. Although the non-league match was technically a friendly, the competition was anything but amicable. Read more about MIT and HBS play "friendly"
On Saturday, October 17, 2015, the MIT B’s took on Old Gold at Moakley Park in Boston, MA. 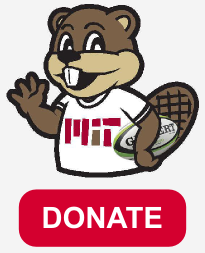 With varying opposition numbers each week, the MIT B’s never know whether they will be playing 15’s, 10’s, 7’s or some other variation of the game. This week it was 10’s and MIT put out a solid lineup of young recruits and savvy veterans. There was a lot of free running with all of the extra space on the field. Forward Matt had perhaps the longest run of the day, after he picked up a loose ball and found plenty of wide open space in front of him. On Saturday, October 17, 2015, MIT traveled to Moakley Park in Boston, MA to take on Old Gold RFC. With the kickoff scheduled for 10:00 AM on a Saturday, the team considered launching a Les Bleus style uprising against their match secretary Brendan, but instead just showed up and played the game. MIT were determined to avenge their only loss of the season which came in their opening game at home against Old Gold. On Saturday, October 10, 2015, the MIT B’s defeated Springfield 15-5. With both teams hurting for numbers, the teams agreed to play shortened halves. MIT were looking to work on some of the mistakes that were made in the A-side match, particularly on defense. The scoring started when scrum-half Diego (not to be confused with winger Diego) kicked from behind a breakdown. The ball bounced around until flanker Clay pounced on it for his first career try with MIT. Chris L. had another strong day at center as he had a long run fending off Springfield players for the second try of the game. On Saturday, October 10, 2015, MIT hosted the Springfield Rifles Rugby Club on a beautiful fall day at Briggs field. With injuries and illnesses starting to take a toll on the team, Coach Sean put out a lineup with 9 changes from the New London match the week before. MIT was confident with their depth that the squad still had enough talent to get the job done.